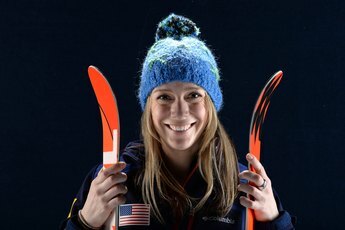 A relaxed stance with bent knees prepares you for bumps and jumps. Getting on a snowboard for the first time is likely to feel a bit unnatural. After all, you’ll be sliding downhill while your feet are pointing sideways. With consistent practice, however, you'll soon be feeling right at home on that snowboard. Having your feet in the board’s bindings at the right width and angle will help you maintain balance and reduce the chances for those embarrassing spills. Much like skateboarders, snowboarders can adopt a stance that places either their left foot or their right foot forward. Riding with your left foot in the front binding is a regular stance while having your right foot in front is called a "goofy" foot style. The majority of riders ride with a regular style. You can determine which stance is right for you by sliding across a slick or polished floor with your socks on. One foot will naturally go in front of the other as you slide. This is the foot that should be forward in your bindings as you snowboard. You can also determine your lead foot by having someone gently push you when you aren’t expecting it. The foot you step forward with to steady your balance is the lead foot. 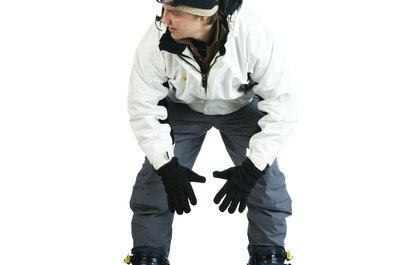 An ideal stance for beginning snowboarders is to have your feet in the bindings just wider than shoulder-width. Because the majority of movements in snowboarding are done with the lower body, you want to have a stance that gives you the greatest range of motion as possible. A stance at around shoulder width will allow you to turn and flex quickly while giving you the broadest base possible to increase your balance. 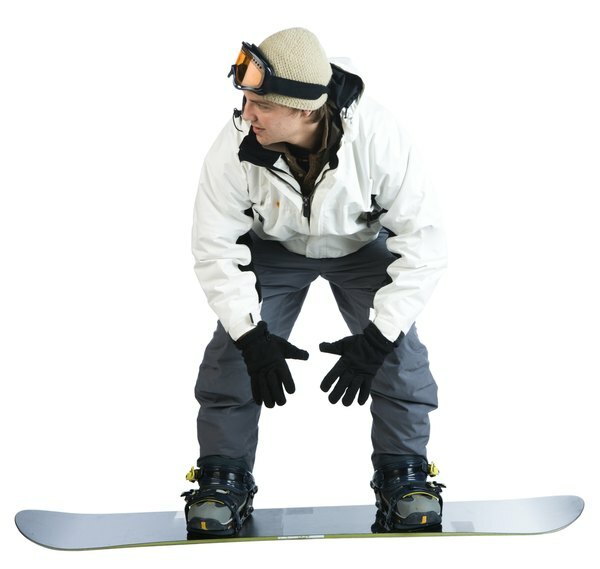 Beginners should keep their front foot angled slightly toward the tip of their snowboard while their back foot is straight and perpendicular to the tail or angled very slightly. Angling the front foot toward the tip helps you get proper form by leaning downhill. As you improve, you can change your positioning to reflect your style of snowboarding. 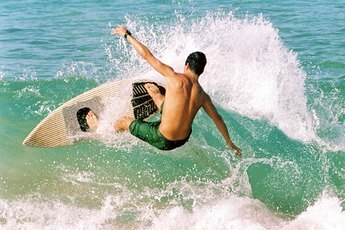 Downhill boarders increase the angles of their feet in order to carve the turns more aggressively. 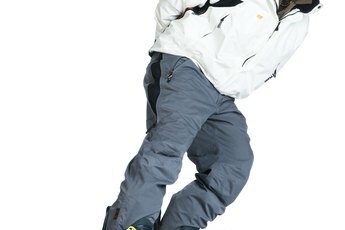 Freestyle riders who board on parks and terrain tend to snowboard with both feet angled outward in a “ducked” stance to make it easier to transition between a regular or goofy stance if they are going forward or backward. You want to have soft knees when you ride downhill on a snowboard. This allows you to absorb bumps and jumps on the course along with being able to flex and pivot as needed. When you get into your bindings, make sure your knees are slightly bent and keep them firm but not totally stiff when riding. Shift your weight slightly to your front foot when boarding by bending more with your front foot and ankle. Make sure the heel or toes of your boots aren’t hanging over the bindings. This can cause your boot to hit the ground during a turn and lead you to crash.